Bookmarks are an easy way to both keep track of your favorite sites and mark interesting sites for later when you might have more time to spend exploring them. The problem with bookmarks is that they can easily get out of hand. One way to get and keep them under control is to store them in folders. 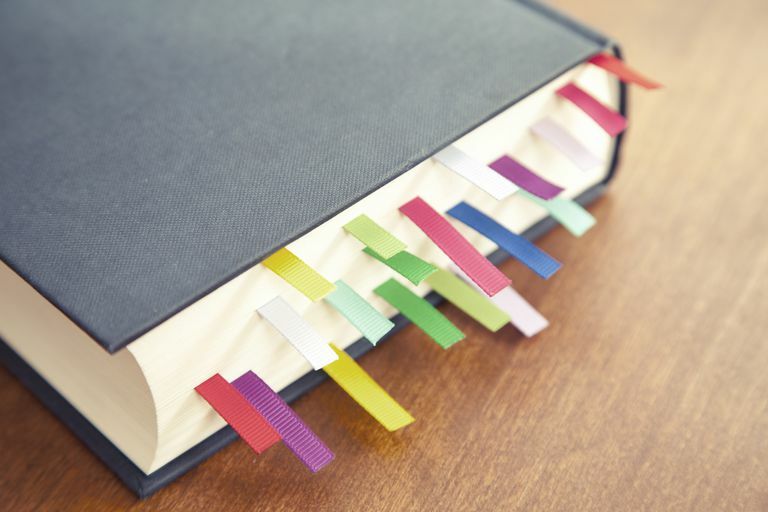 Of course, the process is easier if you set up folders before you start adding and editing bookmarks, but it's never too late to get organized. Click the Bookmarks menu and select Show Bookmarks. If you're using an older version of Safari, the menu item may say Show All Bookmarks. An alternative method to reveal the Safari sidebar is to use the Sidebar button in the Safari toolbar. It looks a little like an open book. With the Safari Sidebar open, you can add, edit, and delete bookmarks, as well as add or delete folders or subfolders. There are two main places to save bookmarks and bookmark folders: the Favorites bar and the Bookmarks menu. Select the Safari View menu, then click the Show Favorites Bar item. If you use folders rather than links, you can have an almost endless supply of websites available from the Favorites bar, although you might want to reserve the Favorites bar for sites you visit daily or at least once a week, and store everything else in the Bookmarks menu. The Bookmarks menu provides drop-down access to bookmarks and/or folders of bookmarks, depending on how you decide to organize it. The Bookmarks menu also provides a second way to access the Favorites bar, as well as bookmark-related commands. If you turn off the Favorites bar, perhaps to gain a little more screen real estate, you can still access it from the Bookmarks menu. Adding a folder to the Favorites bar or the Bookmarks menu is easy; the trickier part is deciding how to set up your folders. Some categories, such as News, Sports, Weather, Tech, Work, Travel, and Shopping, are universal, or at least pretty obvious. Others, such as Crafts, Gardening, Woodworking, or Pets, are more personal. One category we strongly suggest that nearly everyone add is Temp (although you can name it whatever you like). If you're like most web surfers, you bookmark numerous sites, on a daily basis, to revisit later, when you have more time. Most of them probably aren't sites you want to bookmark permanently, but they're interesting enough to check out, just not today. If you keep them corralled in a Temp folder, they will still pile up frighteningly fast, but at least they'll all be in one place. As far as names, whether you decide to add individual bookmarks or folders to the Favorites bar, keep their names short, so you can fit more of them in. Short names aren't a bad idea in the Bookmarks menu, either, but because the links display in a hierarchical list, you have more leeway. To add a folder, click the Bookmarks menu and select Add Bookmark Folder. A new folder will appear in the Bookmarks section of the Safari sidebar, with its name (currently 'untitled folder') highlighted, ready for you to change it. Type in a new name, and press the return or enter key. If you accidentally click away from the folder before you get a chance to name it, right-click the folder and select Edit Name from the pop-up menu. If you change your mind about the folder, right-click it and select Remove (or Delete depending on the version of Safari you are using) from the pop-up menu. When you're happy with the name, click and drag the folder to the Favorites Bar or the Bookmarks Menu entry in the sidebar, depending on where you want to store it. If you tend to collect and save a lot of bookmarks, you may want to consider adding subfolders to some of the folder categories. For example, you might have a top-level folder called Home that includes subfolders called Cooking, Decorating, Gardening, and Green Guides. Open the Safari sidebar (Bookmarks menu, Show Bookmarks), then click the Favorites Bar or the Bookmarks Menu entry, depending on the location of the top-level folder. Click the target folder to select it, and then click the chevron to the left of the folder to display the folder's contents (even if the folder is empty). If you don't do this, when you add a new folder, it will be added at the same level as the existing folder, rather than within the folder. From the Bookmarks menu, select Add Bookmarks Folder. A new subfolder will appear in the selected folder, with its name ('untitled folder') highlighted and ready for you to edit. Type in a new name and press Return or Enter key. If you're having problems getting the subfolders to appear in the selected folder, it's not you, it's Safari, the adding of subfolders, has depended on the version of Safari in use been troublesome at times. However, there is an easy workaround. Simply drag the subfolder to the folder you wish to have the subfolder occupy. To add more subfolders to the same folder, click the folder again, and then select Add Bookmarks Folder from the Bookmarks menu. Repeat the process until you've added all of the desired subfolders, but try to resist the urge to get carried away. Once you add folders to the Favorites bar, you may change your mind about the order they're in; rearranging them is easy. There are two ways to move folders in the Favorites bar; directly in the Favorites bar itself, or in the Safari sidebar. The first option is the easiest if you're rearranging top-level folders; the second option is the one to choose if you want to rearrange subfolders. Click the folder you want to move, and drag it to its target location in the Favorites bar. The other folders will move out of the way to accommodate it. You can also reorganize the folders in the Favorites bar from the Safari sidebar. To view the Safari sidebar, click the Bookmarks menu and select Show Bookmarks. In the Safari sidebar, click the Favorites Bar entry to select it. To move a folder, click and hold the folder's icon, then drag it to the desired location. You can move a folder to a different position at the same level in the hierarchy or drag it into another folder. Open the Safari sidebar and click the Bookmarks Menu entry. From here, rearranging folders is exactly the same process as the second option, above. Just click the icon for the folder you want to move, and drag it to the target location. To rename a folder, right-click the folder, and select Rename (older versions of Safari used Edit Name instead) from the pop-up menu. The folder's name will be highlighted, ready for you to edit. Type in a new name, and press return or enter.